Both top regarded boxers and Local 17 apprentices Brian Lawrence (middleweight) and Jonathan DePina (lightweight) stepped into the ring to fight tough opponents for the New England Golden Gloves Novice Championship Titles. Brian fought for the middleweight title and won a unanimous decision over a fighter from Providence, R.I. He had three great rounds of boxing. Brian's punches were explosive, landing a great number of hard head and body punches. He was more aggressive and accurate with his punches, landing solid and clean shots dominating his opponent to win the All of New England Golden Gloves Novice Middleweight Title. He also holds the Central New England Title. Jonathan DePina had a great lightweight fight but unfortunately didn't get the decision. He has great technique and can hit hard, there was a lot of back and forth exchanges. Jonathan landed some solid shots throughout the fight. 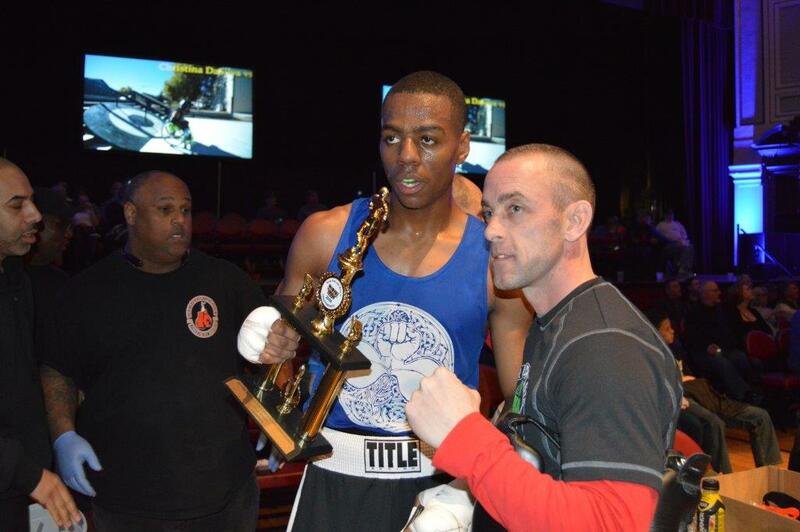 Jonathan still remains the Central New England Golden Glove Champion Lightweight Title. Both fighters gave their all, they work hard in the gym and it carries over to the ring. If you see Jonathan or Brian out on the job-site congratulate them for making Local 17 proud and a job well done.